A team competition for secondary school students that aims to promote mathematical modelling to solve problems of real-world importance. The International Mathematical Modeling Challenge (IM²C) is a new team-based mathematical competition for Australian secondary students. Operating in teams, comprising up to four students from the same school, participants must work collaboratively to solve a problem (set globally) by devising and applying an original mathematical model. Constrained to a period of five consecutive days, teams unpack the given problem, hypothesise, test, and develop a working solution, before preparing and submitting a report on their solution to the Australian judging panel. The best two solutions then progress to compete against the other participating countries on an international level. Completely free to enter, the IM²C exists to support the real-world application of learning, build proficiency, encourage collaboration, and challenge students to use mathematics to make a real difference to the world around them. 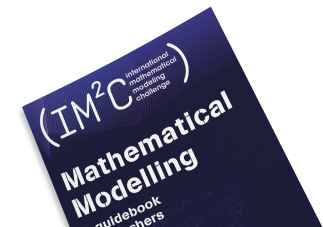 The International Mathematical Modeling Challenge (IM2C) is a mathematical modelling competition involving teams of secondary students from around the world. Competing to devise the best solution to a centrally-set problem, the two best reports from each participating country are assessed by an international judging panel, where they are recognised as Outstanding, Meritorious, Honourable Mention, or Successful Participant. The international judging usually takes place in June each year. Team registrations for the Australian round of the IM2C will open Monday 4 February 2019. To be notified when team registrations open, register below for the free information pack and IM2C updates. A mathematical model is a description of a system, using mathematical concepts and language. The process of developing a mathematical model is termed mathematical modelling. Team registrations for the Australian round of the IM²C will open soon. To be notified when registrations open, register below for the free information pack and IM²C updates. A set of resources to support teachers and students in learning about mathematical modelling is available. These materials are also downloadable.